Before you’re quick to curse back at me, calm down for a second. I did not make that up. That is the new catchy phrase that has been making it’s way around fitness circles in quite some time now. In fact you may have seen it on t-shirts and on social media. But what exactly does it mean? Well I’m about to tell you it isn’t what you think it is. Would you believe me if I told you that you once squatted everyday for a number of years? See, I told you! 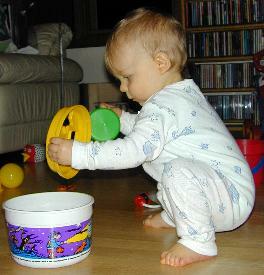 As toddlers, thanks to the spry flexibility in our hips, we could virtually stay in a squat stance for hours! (I’m curious to know how long I can last in this deep-squatted stance). This is one of the reasons babies can play and stay active for hours and not get tired. The ability to rely on those ‘squat muscles’ enables them to stay on their feet and move for a long time. 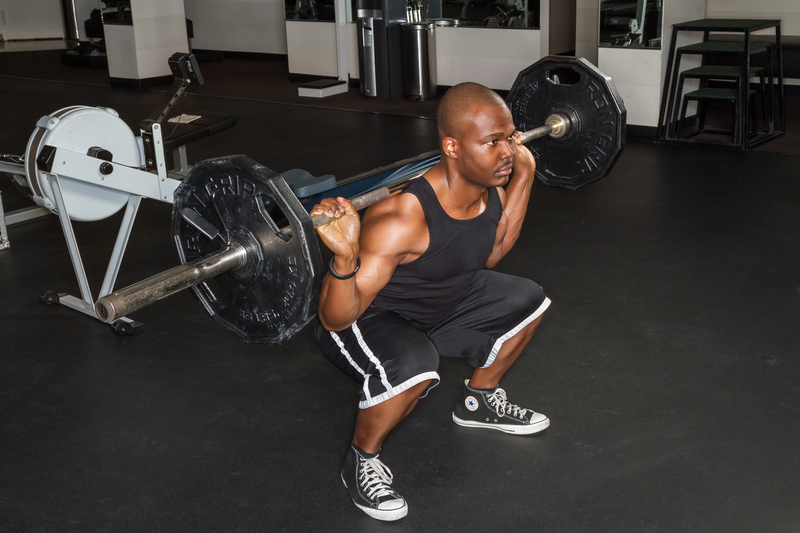 The squat is arguably the most important and effective physical movement known to mankind. There are over 600 muscles in the human body and the squat alone is known to work half of them! Several case studies and science-based theories support and conclude that the squat is the most vital exercise for fat loss, muscle gain and building raw strength. I learned early in my lifting days that I needed to squat frequently if I wanted to be achieve all my fitness goals. So how exactly is a squat supposed to be performed? 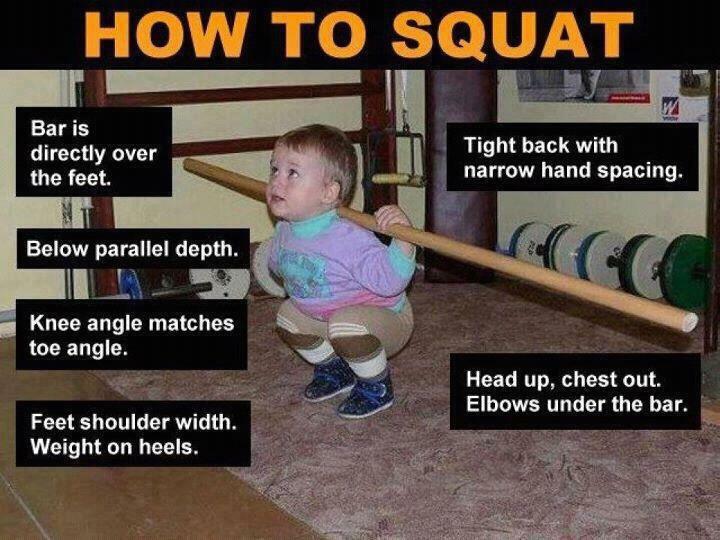 Although many variations of the squat exists, the traditional barbell squat (pictured above) remains the most common and the one to yield the most dividends.The baby in the picture demonstrates the exercise as simple as possible (I’m still amazed how this brave toddler was taught to do this. Kudos to the parents and/or whoever the coach was). Due to many media publicized images of injuries, several trepidations inevitably come within the territory of barbell squats and have caused many people to avoid it. The fact of the matter is we can get hurt even just walking up the stairs or stepping down from a curb. Safety and injury prevention are essential parts of staying fit for a long time and can be achieved through proper warm-up, a sound training program and adequate diet and supplementation. Moral of this post: Embrace squats and do them frequently. A tree with weak roots will ultimately collapse! I’m curious to hear your feedback. How often do you incorporate squats into your training programs? This entry was posted in Fitness and tagged Health, Muscle, Physical fitness, squat. Bookmark the permalink.